Do you know what foods to eat and what to avoid to reduce your risk of heart disease, cancer, or a stroke? There’s a lot of unclear information about diet & nutrition. That’s why in this month’s Service For Life!® Free consumer newsletter, I want to share seven common myths – and the facts you should know – to help you make healthy-eating decisions and fight disease. You’ll also learn three easy strategies to protect yourself when using the Internet on your smartphone, iPad, laptop or computer…plus fun facts, a trivia challenge, and lots more. They may be people thinking about buying an investment property. You’ll be their wise friend if you tell them about my Free Consumer Report: "8 Dumb Mistakes Even Smart Investors Make." Don’t let them put in an offer before giving me a call for this report at (717) 258-8934, or request a copy via email at jim@seejim.com. happen again for over 4,000 years? Medical studies show that eating the right foods in the right amounts and exercising regularly reduce the risk of heart disease, cancer, and stroke. The trouble is there’s so much conflicting information in the media and on the Internet that it’s hard to know what to believe. Here are seven common myths – and the facts you should know – to help you make healthy-eating decisions and fight disease. Myth #1: All fats are bad. Myth #2: A calorie is a calorie. Truth: Doctors say this myth is one reason why obesity is increasing. The calories you eat don’t all have the same impact on your body. 100 calories of broccoli are not the same as 100 calories of cupcakes. It depends on whether you’re eating healthy or unhealthy calories. Myth #3: Carbohydrates make you fat. Truth: Eating sugary and refined-carbohydrate rich food such as white bread and doughnuts can raise your risk of problems like heart disease. But vegetables are carbs too! The closer the carb is to its original form, the better it is for you. Whole grain brown rice is good, while white rice that has been stripped of its bran and germ doesn’t offer health benefits. Myth #4: Red meat is bad for your health. Truth: Red meat has more cholesterol and saturated fat than chicken, fish, or vegetable protein. However, you can eat it as long as you limit the amount (one portion = three ounces), choose leaner cuts (“round” or “sirloin”), trim the fat, and cook it by baking, broiling, or grilling. Myth #5: A gluten-free diet will help you lose weight. Truth: Whole grains are good for you, but those that contain gluten, a protein found in wheat, rye and barley, are harmful for people with celiac disease and gluten intolerance. Other people may lose weight by cutting out gluten, but it’s because they are eliminating foods (like breads, pasta, pastries) that they were probably overeating. Myth #6: Eggs are bad for your heart. Truth: One egg contains 185 milligrams of cholesterol. For people with normal LDL cholesterol, the daily recommended cholesterol limit is 300 milligrams. The American Heart Association says most people (except those with diabetes or a history of heart problems) can eat one egg per day – if they also watch how much cholesterol they consume from other sources, such as meats, poultry, and dairy products. Myth #7: You should drink 8 glasses of water each day. Truth: Water keeps your body hydrated (and you also consume it by eating some fruits and vegetables). But the amount you need varies daily, depending on your gender, size and activity level, as well as things like heat and humidity. To test it, check the color of your urine. Clear or light yellow means you’re well hydrated; if it’s a darker color, drink more water. For more information on ways to eat healthier and fight disease, visit www.heart.org and click on Getting Healthy. 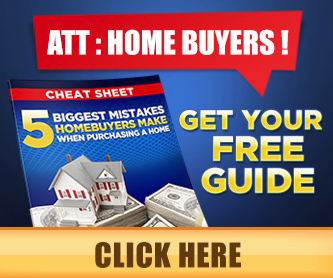 Don’t attempt to sell your home without my Free consumer guide, “44 Money-making Tips For Preparing Your Home To Sell.” My exclusive report will give you all the facts for a fast, top dollar sale. Just call (717) 258-8934 anytime, or simply email me by clicking here, and I’ll rush a copy out to you. Sign up for 2-step authentication if you use Gmail, Twitter, LinkedIn, PayPal or Facebook. This will protect your accounts by using both your password and your phone to sign in. Look for this under Settings, Profile, or Account (depending on the website). Use “private browsing” (also called “incognito”) on your browser when checking your bank account or paying bills online. This prevents the browser from storing information. Look under File on Firefox or Chrome, or Safety for Internet Explorer. Use a passcode on all your devices (usually under Settings). For more protection, download one of the many security apps available. For example, Avast Mobile Security or Lookout (both free) for Android, and WISe ID (free) or mSECURE ($9.99) for iPhones. Thanks to all of my clients and friends who support my practice and graciously referred me to your friends and neighbors! Rather than pester people with unwanted calls and visits, I build my business based on the positive comments and referrals from people just like you. I couldn't do it without you! Whiten Your Teeth Naturally . . .
Crunchy foods. Apples, celery, and carrots scrub your teeth and stimulate production of saliva, which keeps away plaque. Also helpful are strawberries, which contain malic acid that whitens teeth. Dairy products. Yogurt and hard cheeses like cheddar contain lactic acid that can protect against decay. Chewing hard cheese also stimulates salivary glands to avoid plaque buildup. What to avoid. Anything that stains teeth, like coffee, tea, blueberries, red wine, and tobacco. After you consume these, rinse with water or chew sugarless gum to remove stain-causing particles. What Happens In 1 Minute On The Internet . . .
Websites To Help You Make Extra Money . . .
• www.tutorspree.com -- Qualified tutors make $1,000- $2,000 a month on a part-time basis. • www.freelancer.com -- Focus on a skill you have and look for potential jobs. • www.snagajob.com -- Look for part- or full-time jobs in your area. Have A Laugh — Job Application Honesty . . .
I’m pleased to announce that MATT BRINDLE, LEE ANN MURRAY, and DON BRUCE were the 1st, 3rd and 5th people to correctly answer my quiz question. Which country has the most lakes? The answer is (c) Canada. Canada has at least 2 million and possibly over 3 million lakes. WINNERS: Please stop by the office to claim your prize! So let’s move on to this month’s trivia question. Which of these couples topped the list of the highest paid celebrity couples for the period May 2011 to May 2012? The year’s date reads the same when turned upside down. That won’t happen again until 6009. Q. I tried to sell my home but didn’t get any good offers. What should I do differently to get it sold? A. After re-evaluating your home’s price and condition, you need to revisit your marketing plan. Do the pictures of your home on the Internet really show your home to its best advantage? Did your home get seen by as many potential buyers as possible? To help you pump up the plan, you should hire not just a REALTOR® but a Home Marketing Expert who knows how to show your home’s greatest features and how to get your home more exposure. 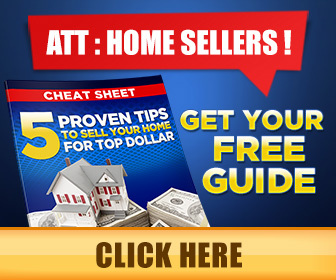 A Home Marketing Expert knows the best strategies to sell homes fast and for the most money possible. To learn more about how to sell your home the second time, call or simply email me by clicking here and ask for my Free Consumer Report called “4 Tips To Guarantee Your Home Sells The Second Time.” I’ll send a copy right over to you.